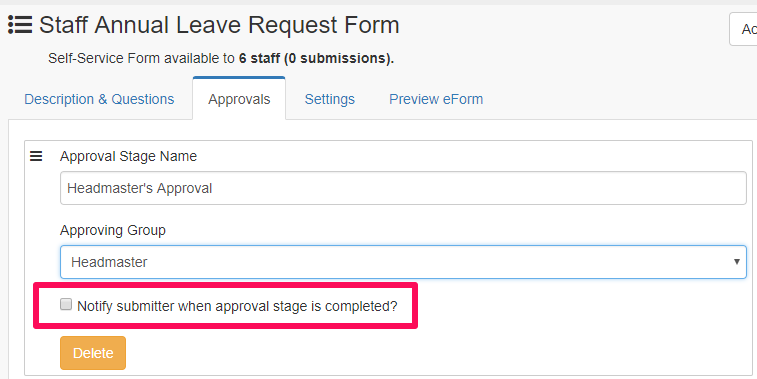 How to add,edit or delete an Approval stage to a Self-Service eForm? 1. Look for the Self-Service form you would like to update and click the 3 horizontal lines. 4. Enter an Approval Stage Name and select the Approving Group. If you have not yet created a group, please follow the steps on this article. 5. 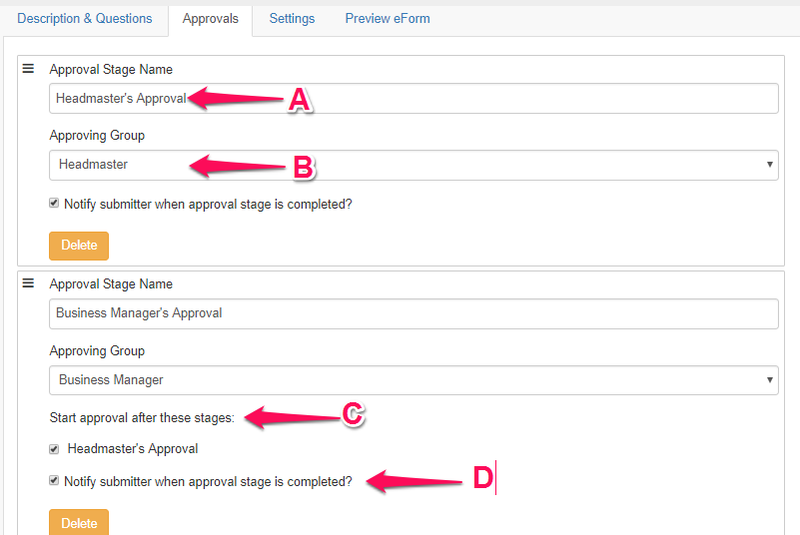 Tick the box for "Notify submitter when approval stage is completed?" if you wish the submitter to be informed if their request was approved or not. 6. To add more stages, please repeat steps 3-5. There would be an additional tick box asking you when to initiate the next approval stage. 7. To remove an approval stage, simply hit the Delete button. 8. Click Save to apply the changes. 3. Update the details that you wish to edit. B. Approving Group - Select the appropriate group from the drop-down list. wish the submitter to be notified if a certain stage has been completed. 4. Click Save to apply the changes.